These self-applied health enhancement methods cost nothing, cause no negative side effects, and may be used anytime and anywhere by anyone! Healer Within Foundation advances community-based Qigong/Tai Chi and other self-healing, body-mind-spirit practices through collaborations with individuals and organizations, to sponsor trainings, community practice groups and research. 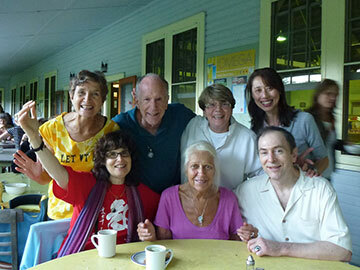 A world of self-healing, wellness and vitality. The Healer Within Foundation is currently living out this mission through the Tai Chi Easy™ Dissemination Project which trains Practice Leaders to introduce the Tai Chi Easy™ form and teaching methods created by Roger Jahnke, O.M.D. in communities throughout the world. The Healer Within Foundation’s programs empower people using medically proven self-care practices that effectively support disease prevention, accelerate healing, and decrease unnecessary mental and physical suffering. Currently our largest program is Tai Chi Easy™, an “evidence based” program using gentle movement, breath practice, self‐applied massage, and meditation. 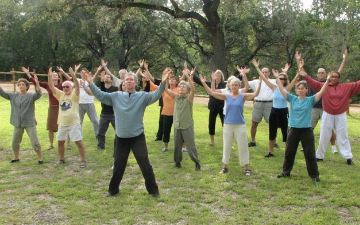 Trained Tai Chi Easy™ Practice Leaders support end-users in lowering risk for preventable chronic diseases, improving sleep problems, managing pain, speeding rehabilitation, reducing depression and anxiety, assisting in recovery from addiction, and more. The Tai Chi Easy™ self-healing methods will be available to individuals and organizations throughout the world for the purposes of empowering people with knowledge of the mind-body based self-healing techniques. To this end, Tai Chi Easy™ Practice Leaders will be trained and certified to use their training and certification to lead citizens and communities in practice of these self-healing arts that involve movement, breath, self-massage and meditation practices developed by Roger Jahnke, OMD. Tai Chi Easy™ Public Education programs will be hosted and Tai Chi Easy™ Community Practice Groups will be formed in communities throughout the world. The Healer Within Foundation was founded in 2003 and is an IRS 501(c)(3) nonprofit organization based in Santa Barbara, California.